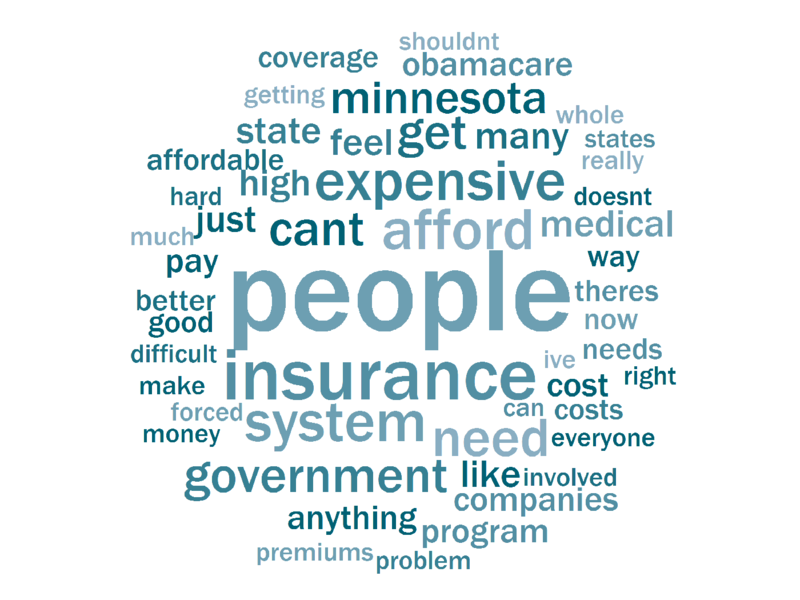 Minnesotans feel mostly positive about the state's health care system. But that confidence begins to ebb when the questions turn to mental health. That's an important finding from Ground Level, an MPR News project using public opinion surveys to guide in-depth reporting. MPR and its sister organization APM Research Lab surveyed 1,654 Minnesota residents in late August and early September on a wide range of topics. On health issues, the survey found Minnesotans generally pleased with the options and expertise within Minnesota's health care system. Concerns rose, though, when people were asked about the state's ability to meet the needs of people struggling with their mental health. One key Minnesota expert also says the overall positive survey data on health care mask the fact that there are large and serious gaps by race and income that the state must address. 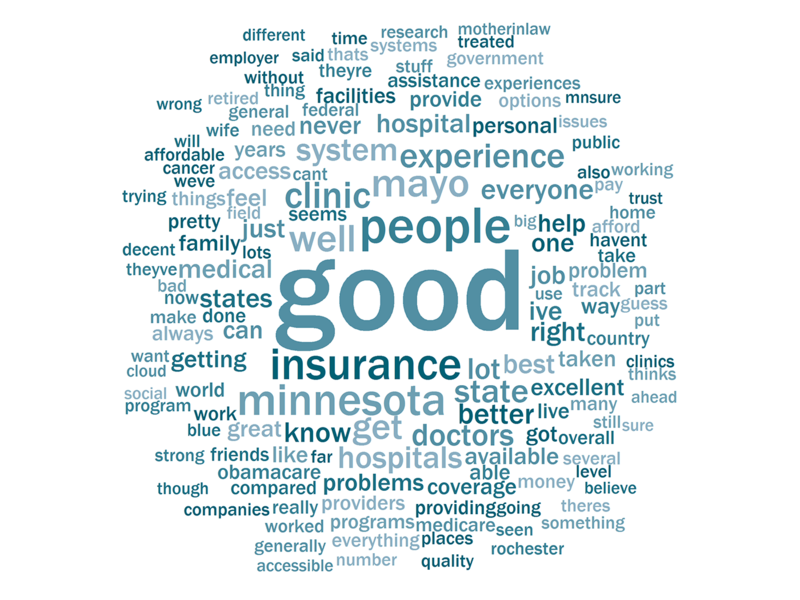 Overall, the data suggest Minnesotans feel their health care is good. Despite complaints about cost, some 75 percent indicated they trusted the medical care available. Survey respondents hold the care system in high esteem, tied with law enforcement for greatest levels of trust across all institutions. Two-thirds of respondents felt the state is on the right track when it comes to health care. That includes Pam Leier, 62, an executive at a St. Paul-based lumber firm who says she's thankful for the access she has to health care. Leier points to the University of Minnesota and other pioneering Minnesota health care leaders as reason for those positive feelings. "We've got the Mayo Clinic," she said. "You know you can't top that anywhere." 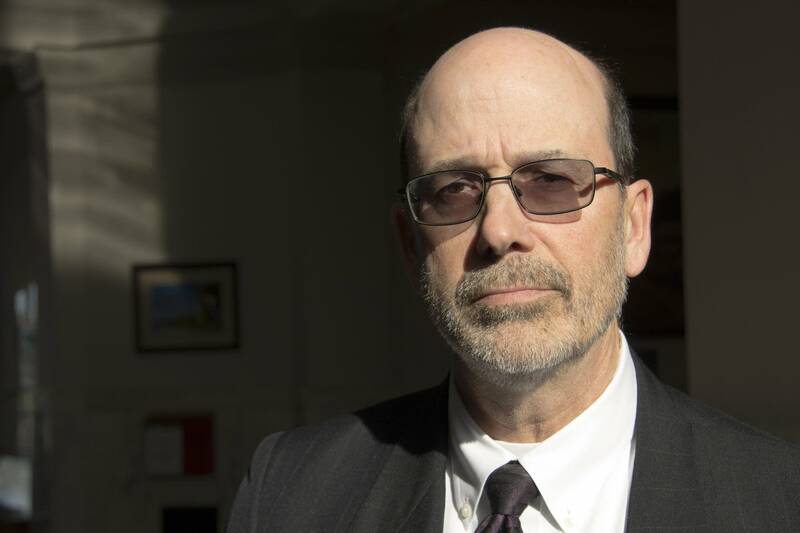 But Minnesota Health Commissioner Dr. Ed Ehlinger said there's a warning flag in the survey — not everyone thinks the state is on the right track when it comes to health care. "We have some of the greatest disparities in the country and, that said, we have to do more to eliminate those inequities," Ehlinger said. Researchers at Minnesota Community Measurement found American Indian, Alaska Natives, and black or African-Americans had the lowest health outcomes of Minnesotans. 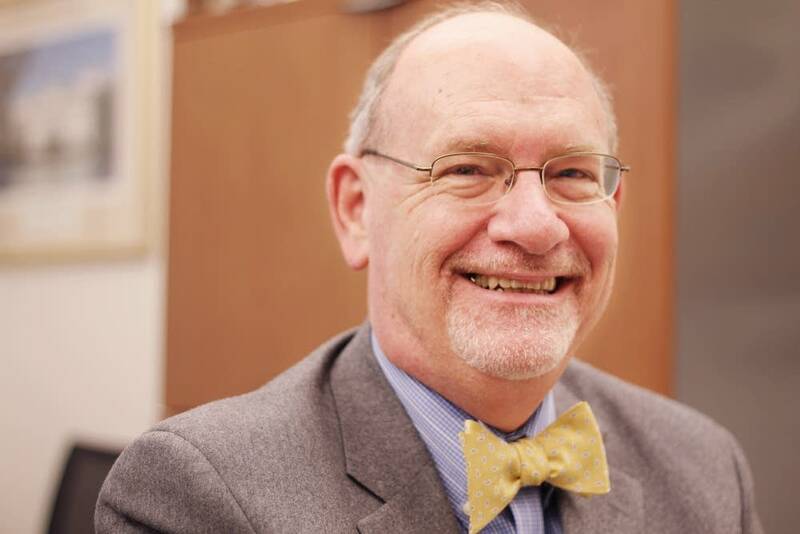 Minnesota's health disparities are rooted in socioeconomic inequalities from housing and education to safety and economic opportunity, Ehlinger said. "Just think about the stressors if you live in one of those communities of low opportunity," he said. "You don't know if you're going to be able to pay your rent. You have an unsafe neighborhood so it's hard for you and your kids to go out and play. Those stressors just by themselves are going to weigh on you. It's going to really impact your health." The nonprofit Wilder Foundation found dramatic differences between two Twin Cities ZIP codes; one in Edina and the other in north Minneapolis. Those in the Edina ZIP code were about four times as likely to have health insurance and a college degree than those in the area of north Minneapolis. More than half of the Edina population had household income above $100,000 a year. More than half in the north Minneapolis ZIP code were below $35,000. Income is a pivotal indicator of health, said Ehlinger. "If you can increase somebody's income from below $35,000 a year to above $35,000 a year, on an average you can increase life expectancy by about three and a half years." 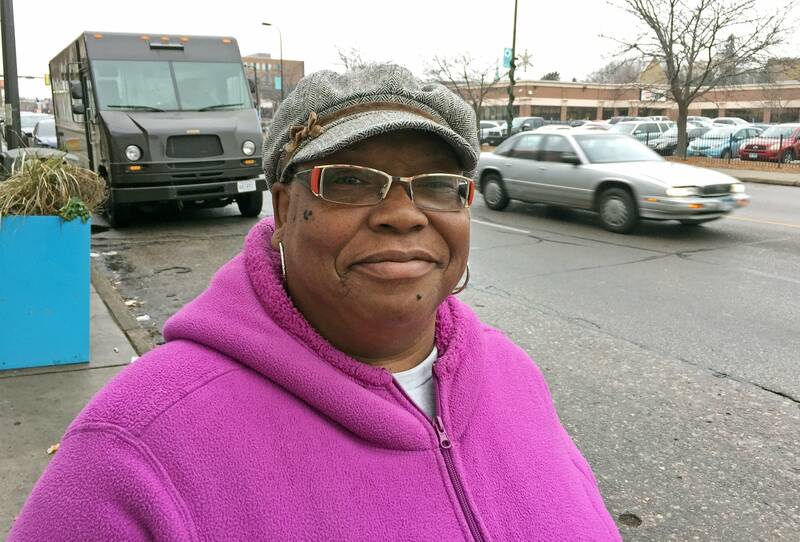 Linda Butler lives in the north Minneapolis ZIP code Wilder examined. Waiting for a bus recently, she said she was not surprised that she and many of her neighbors are likely to die younger than people in more prosperous areas of Minnesota. "It's terrible but what can we do?" Butler is retired and on a fixed income which she said is well below $35,000 a year. "The stress that creates is phenomenal," she said. "To me, it's all about money." Butler she said if she had more money she could take better care of herself. "It helps out a lot because you can eat healthier. You can make frequent doctor visits." Ehlinger said he thinks the Dayton administration's biggest public health achievement was getting a minimum wage increase signed into law. If Minnesotans have high confidence in their medical care, they're less sure about mental health care. Only 56 percent majority of respondents to the Ground Level survey said the state's mental health system is on the right track. Finding care for emotional or behavioral problems in Minnesota is much more of a challenge than getting a strep throat test or a broken arm reset, said Sue Abderholden, who leads the National Alliance on Mental Illness, Minnesota. "When we think about our mental health system, it's not broken. We just haven't finished building it yet," she added. According to federal statistics eight in 10 Minnesota counties have a shortage of mental health providers. Decades ago, Minnesota and other states started closing government-run psychiatric hospitals in favor of smaller community-based facilities. The move left a shortage of treatment capacity especially for people with severe illness. So many Minnesotans suffering psychotic episodes land in jail, not a psych wards. In Brainerd, Minn., St. Joseph's Medical Center recently alarmed state officials and mental health advocates when it stopped accepting court-ordered psychiatric patients. 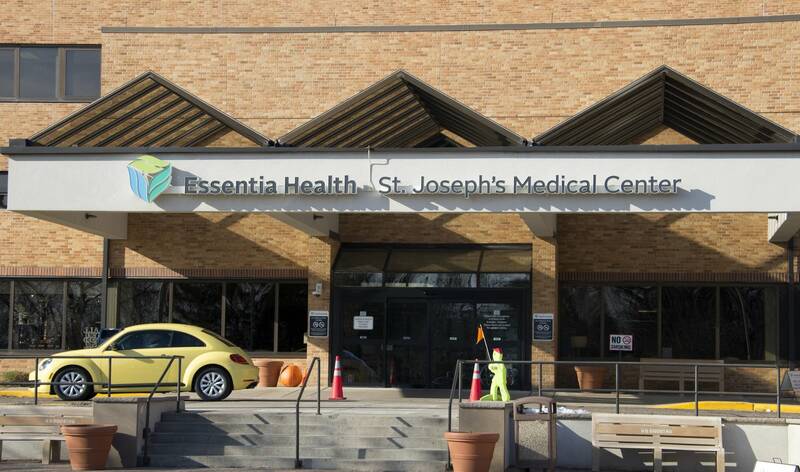 Essentia Health, which runs the hospital, said the facility is not equipped to handle the extra needs so-called involuntary patients bring with them. "The criticism Essentia has gotten — especially from the state of Minnesota — is criticism by the culprit who caused the problem in the first place," said Crow Wing County Administrator Tim Houle. Like Essentia, Houle accuses the state of Minnesota of abdicating its responsibility to provide appropriate access to mental health care. 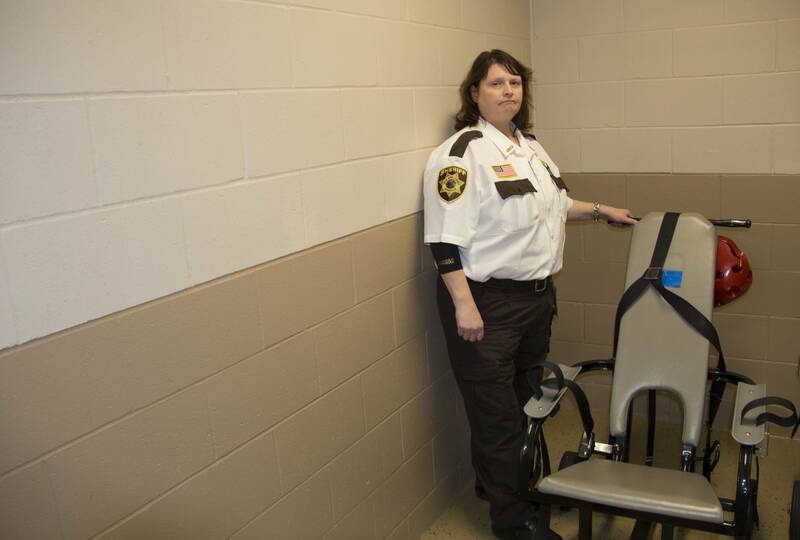 Houle and many others say Minnesotans who belong in hospitals are ending up in jail. "We're criminalizing mental health in this state," he said. "If we have an inmate that comes in with a broken leg or with pneumonia we will send them to a hospital there's no questions asked. But if they come into the jail with a mental health problem we might not be able to get them treatment." Money is not the only obstacle to expanding access to mental health care. Stigma is also a barrier. 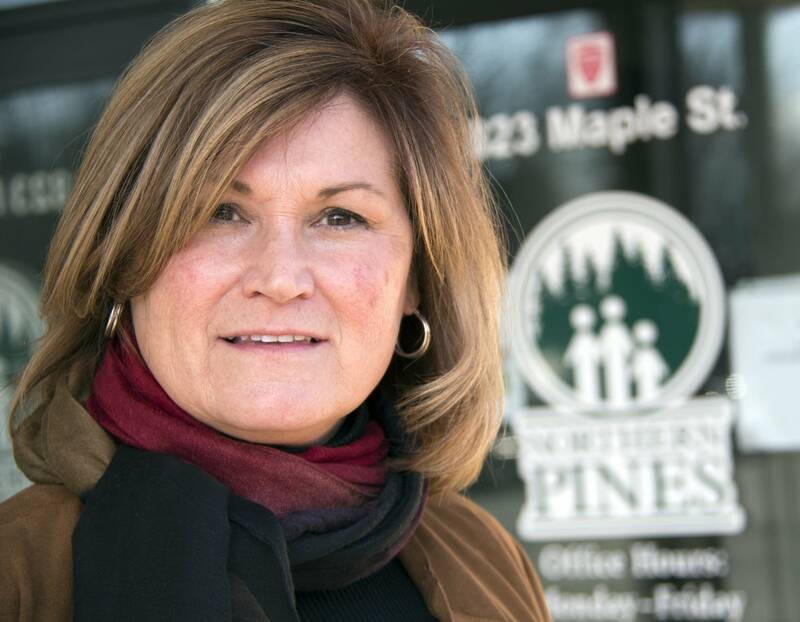 Brainerd-based Northern Pines Mental Health Center wanted to expand one of the organizations half dozen clinics but ran into pushback from neighboring businesses. "Those who were at the other end of the mall didn't know that they wanted to stay in that building because of the population that were serve," said executive director Laura Vaughn. Still there is little disagreement that more money is needed to expand access to mental health care in Minnesota. Improving mental and physical health will require a new approach, said Ehlinger, the state's health commissioner. He views the challenge of improving health equity on a par with understanding and adapting to climate change. "The more money we spend on health care the farther we get behind," Ehlinger said. "We need to take the responsibility for making health care and health decisions away from the health care sector and the public health sector. We need to get communities more involved and at the table saying, 'This is what we need in our community to thrive.'" Editor's note: An earlier version of this story indicated Minnesotans held law enforcement in higher esteem than the state's health care system. To clarify, the two are statistically tied. They rank highest in the survey, ahead of organized religion.